With Axure RP, you can consistently and confidently deliver solutions that achieve your business goals. Before writing a single line of code, proposed solutions can be validated, documented, and clearly presented to everyone involved. Use of Axure RP frequently starts with an individual or small group within a company and grows organically throughout the business as the benefits are realized. 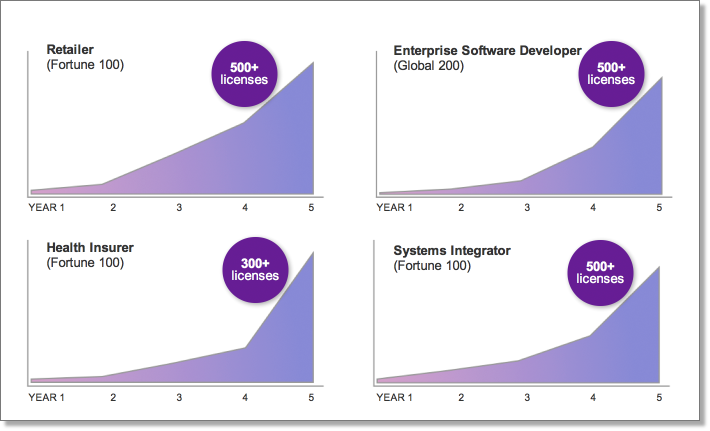 More than half of new Axure RP licenses are delivered to existing customers. These charts are just some examples of organic customer adoption across a variety of industries. Axure RP is effective for a wide variety of projects and for teams with varying skill sets. As a result, your business can leverage assets and knowledge from one project to another and continually improve your process. 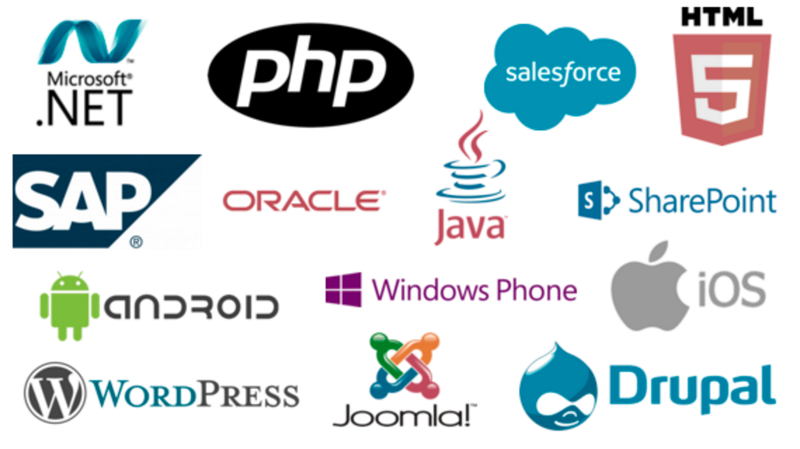 Agile or Waterfall, PC or Mac, hosted or on-premises, Chrome or IE, iOS or Android, SAP or Oracle, detailed specifications or rich simulations, Axure RP can help your business build better solutions. Axure RP was first released in January 2003 and was one of the first of its kind designed specifically to prototype browser-based applications. 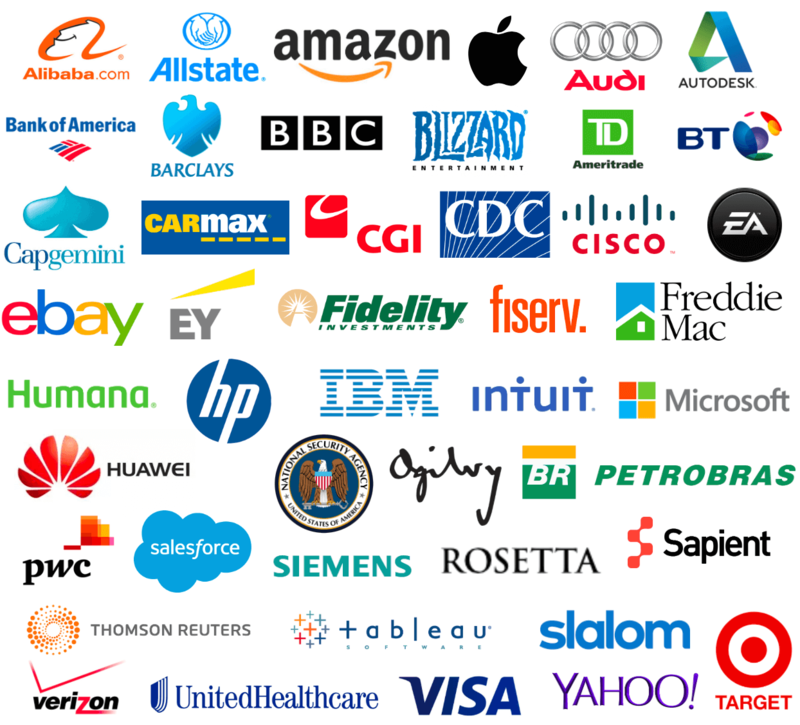 Today, Axure RP is used by more than 25,000 organizations around the world including 87 of the Fortune 100. Much of Axure’s success can be attributed to its product strategy. For the last 16 years, Axure has maintained its focus on solving the challenges that business analysts and UX professionals face during software projects. We push ourselves to find lasting solutions to those challenges and have avoided chasing trendy solutions. We work with customers to understand the underlying needs and opportunities. And we approach our products with a great deal of humility, which has enabled us to continually improve our products. 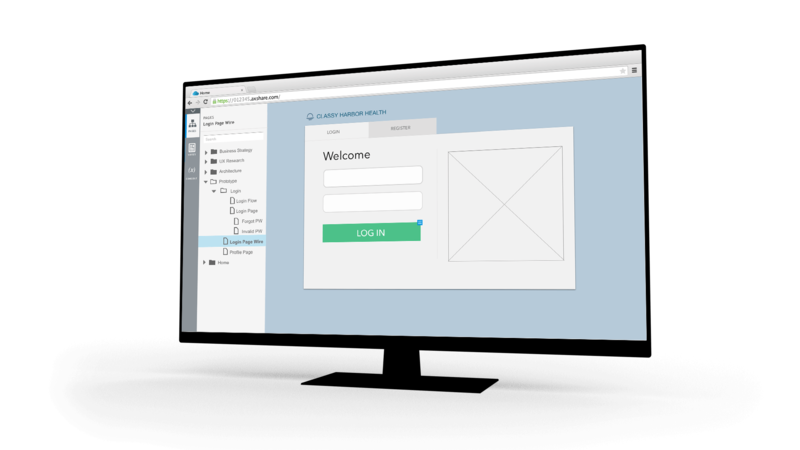 By giving stakeholders and users a chance to test drive Axure prototypes, you can gather meaningful feedback and make informed decisions to reach the right solution.